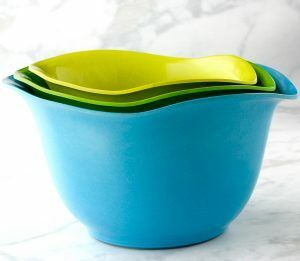 Looking for a quick and easy dump cake recipe? What’s easier than dumping 4 delicious ingredients into a 9×13 baking dish and popping it into the oven? 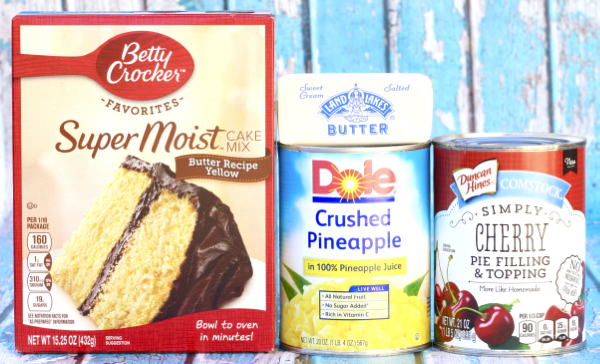 By the time this simple dessert has finished baking, you will have a flavor packed tropical combination of sweet pineapples, tangy cherries, and a buttery crumble cake topping! 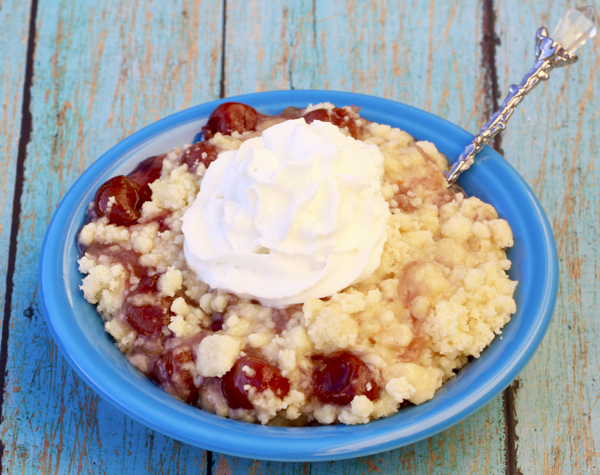 This easy Pineapple Cherry Dump Cake Recipe is lip smacking good, and the perfect ending to any day! 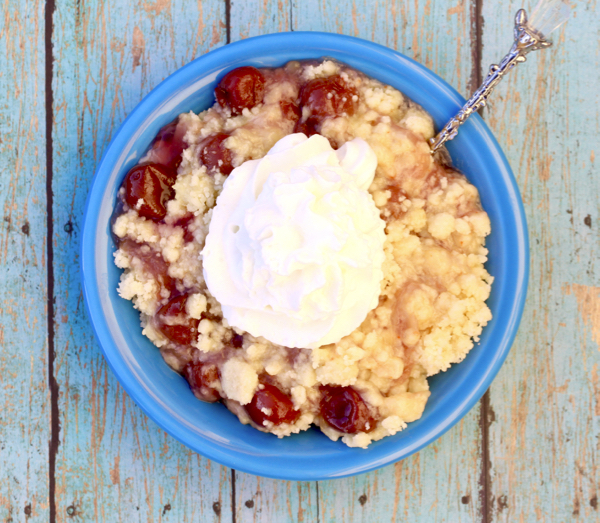 This easy Pineapple Cherry Dump Cake Recipe is lip smacking good, and the perfect ending to any day! 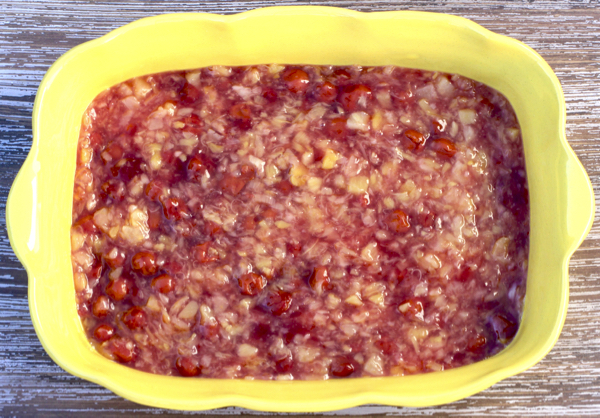 Empty can of Cherry Pie Filling and drained can of Crushed Pineapple into mixing bowl, and stir well. 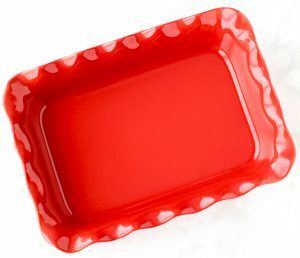 Pour Cherry-Pineapple mixture into bottom of baking dish, and spread evenly. 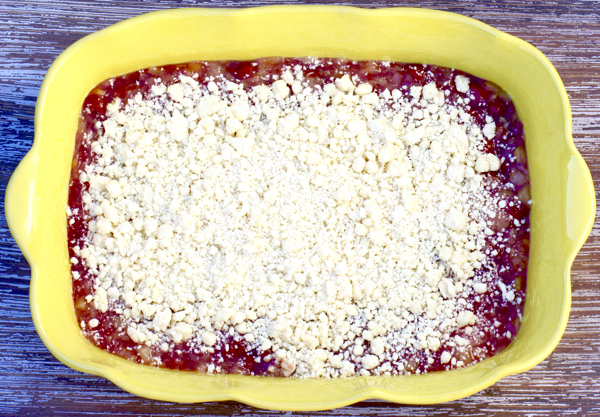 Pour butter/cake crumble mixture over the Cherry-Pineapple layer in the baking dish. 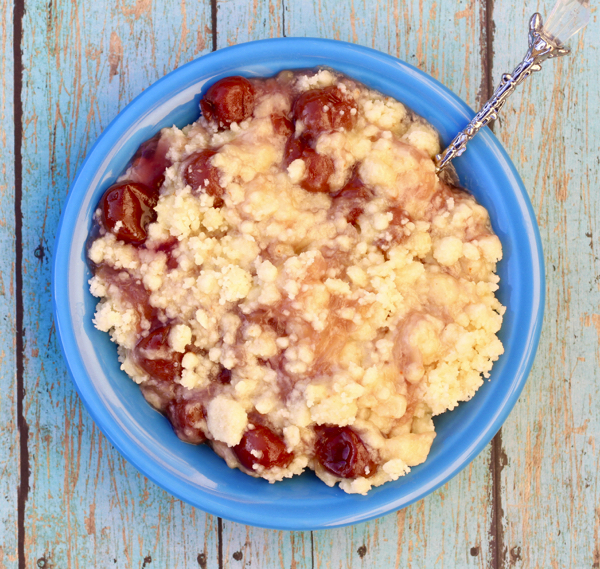 Tried this Pineapple Cherry Dump Cake?